The Jobs and Growth Tax Relief Reconciliation Act is an investment tax cut that was enacted by the Bush Administration on May 28, 2003. Its goal was to end the 2001 recession. Reduced the long-term capital gains tax rate from 20 percent to 15 percent. For taxpayers who were already in the 10-15 percent income tax bracket, it reduced the rate to 5 percent and then to zero in 2008. Changed the dividend tax rate to the same as the long-term capital gains rate. Prior to that, dividends were taxed as regular income. Increased tax deductions for small businesses. Accelerated many of the provisions in the Economic Growth and Tax Relief Reconciliation Act, which were supposed to be phased in more gradually. Raised the exemption for the Alternative Minimum Tax. All JGTRRA tax changes were for the entire 2003 tax year. 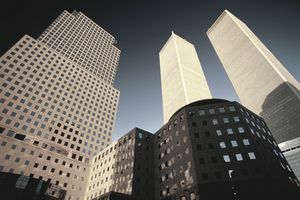 The 9/11 attacks created massive economic uncertainty just as the United States was recovering from the 2001 recession. The resultant War on Terror, as war always does, introduced additional uncertainty. The economy grew just 1 percent in 2001, improving mildly to 1.8 percent in 2002. The statistics on gross domestic product by year showed growth improved much more between 2003 and 2005. EGTRRA was the first Bush tax cut to attack the recession. It had effectively cut personal income taxes, but hadn't helped businesses. Bush believed in supply-side economics. It says that cutting business costs allows them to hire more workers. In that way, corporate tax cuts trickle down to the middle class. Initially, JGTRRA helped the economy out of recession by putting more dollars into the pockets of businesses and investors, and ultimately consumers. It encouraged investment in the stock market by decreasing capital gains and dividend taxes. By reducing the cost of buying stocks, JGTRRA made them more attractive than bonds. That put $9.2 billion more into the pockets of stockholders in just the first year. As dividend-paying stocks become more popular, companies issue more of them instead of bonds. Their financing became more reliant on bonds than stocks. That helps companies in a downturn because they are less likely to default on bond payments, which are fixed. It reduces the risk of corporate bankruptcies. JGTRRA also encouraged companies to increase dividend payment. More than 200 companies, most notably Target, Citigroup, and Walgreen, announced dividend increases by July 2003. Many companies, most notably Microsoft, started issuing dividends for the first time. Much of executive compensation is paid in stocks and stock options. This form of payment became even more popular when the tax burden on dividends was lessened for high-income earners. As a result of JGTRRA, total dividend payments increased 20 percent from 2003 to 2012. For the previous 20 years, they had declined. Investors also bought more dividend-paying stocks, boosting profitability of companies that paid dividends. These included foreign companies that were in countries that had signed tax treaties with the United States. The economy grew a robust 3.8 percent in 2004. The Federal Reserve started raising interest rates again to slow the economy down. The ideal economic growth rate should remain within the 2-3 percent range. If it grows faster, it could reach the peak phase of the business cycle and overheat. For that reason, the Bush tax cuts should have expired in 2004 or 2005, when the economy was booming again. Higher taxes would have slowed spending. They would have helped prevent the housing boom that led to the 2008 financial crisis. Unfortunately, JGTRRA was designed to expire in 2010. The newly-elected Obama administration and Congress, faced with the Great Recession, extended it until 2012 as part of the deal to avoid the fiscal cliff. They now have no expiration date. Like any other tax cut, JGTRRA hurts the economy by decreasing tax revenues. This increases each year’s annual deficit, and consequently, the U.S. debt. In fact, the debt doubled during the Bush administration to $11.6 trillion, from both lower tax revenues and higher defense spending. As a result, Bush racked up the second-highest U.S. debt by president. In the long run, high debt puts downward pressure on the value of the dollar. A devalued dollar raises the cost of imports and can trigger inflation.